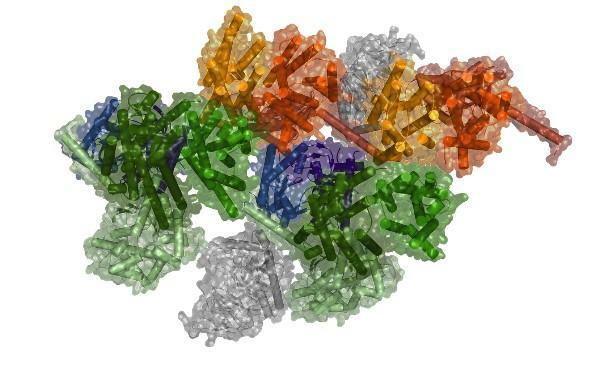 Scientists at the National Institute on Drug Abuse (NIDA) Intramural Research Program (IRP) have uncovered evidence that shows a more complex and elaborate role for the body's hard-working G protein-coupled receptors (GPCRs) than previously thought, suggesting a conceptual advance in the fields of biochemistry and pharmacology. With more than 800 members in the human genome, GPCRs are the largest family of proteins involved in decoding signals as they come into the cell and then adapt the cell's function in response. NIDA is part of the National Institutes of Health. "These findings represent many years of complex and highly nuanced science, following the trail as chemical signals travel through the body at the cellular level," said NIDA Director Nora D. Volkow, M.D. "This remarkable discovery will open new avenues for medication development for addiction, pain and other conditions, offering more precise targets with fewer side effects." "The specific macromolecular complex investigated in this study has therapeutic implications not only for addiction, but also for Parkinson's disease and schizophrenia," said Dr. Sergi Ferré, who led the team of scientists. "Discovering that these protein interact with other signals in preformed complexes gives us more precise targets for medication development." To unravel the complex journey of the body's GPCRs, scientists used biophysical tools, including fluorescent biosensors; biochemical tools, such as cell signaling in neuronal cultures; as well as computational models. Navarro et al. Evidence for functional pre-coupled complexes of receptor heteromers and adenylyl cyclase, March 28, 2018, Nature Communications. DOI: 10.1038/s41467-018-03522-3. About the National Institute on Drug Abuse (NIDA): The National Institute on Drug Abuse (NIDA) is a component of the National Institutes of Health, U.S. Department of Health and Human Services. NIDA supports most of the world's research on the health aspects of drug use and addiction. The Institute carries out a large variety of programs to inform policy, improve practice, and advance addiction science. The mission of NIDA's Intramural Research Program (IRP) is to conduct state-of-the-art research on basic mechanisms that underlie drug use and addiction, and to develop new methods for treatment. Fact sheets on the health effects of drugs and information on NIDA research and other activities can be found at http://www.drugabuse.gov, which is now compatible with your smartphone, iPad or tablet. To order publications in English or Spanish, call NIDA's DrugPubs research dissemination center at 1-877-NIDA-NIH or 240-645-0228 (TDD) or email requests to [email protected] Online ordering is available at drugpubs.drugabuse.gov. NIDA's media guide can be found at http://www.drugabuse.gov/publications/media-guide/dear-journalist, and its easy-to-read website can be found at http://www.easyread.drugabuse.gov. You can follow NIDA on Twitter and Facebook.